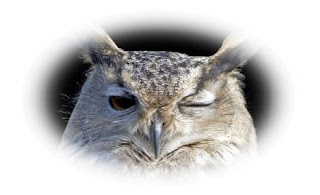 Today's Wink and a Nod Recipient is Misha Gerick (spelled Gerrick on her books), a versatile author from South Africa who's on the five-year plan. Misha blogs on Mondays, Wednesdays and Fridays about her goal of turning her writing into a paying career. I have no doubts she'll do it. Off to visit - thanks for the heads-up. Thanks for the look-see, Val. I'm sure it's appreciated. Will visit, your day just ending, mine just beginning. We all need our goals don't we? Misha sounds as if she has both feet on the ground and the heart and soul of an author...a true writer! Like you I might add. Goals and plans are good things. I wish her the best. My pleasure, for sure, Misha. Wonderful to read, thanks for that. Greetings! I went over and read about her 4 tips for writing and that we never truly multitask because we can only actually do one thing at a time before heading to the next item. Great read! I wish her all the best! Thanks for the introduction Sandra! Big Hugs!